This video focusses on the gold price. In particular, many investors new to the market, struggle to understand how the gold price works, what moves it and how to calculate prices of physical gold coins and bars. My aim today is to walk you through some of the basics so you’re better equipped to understand the gold market and profit from it. In particular, I’ll explain 2 crucial concepts. The most important concept to understand is that the gold price is fluid. While the market is open, the price moves constantly. The market closes for only a few hours each day between New York closing and Asia opening. It’s closed at weekends and a small handful of major holidays like New Year. The gold price is quoted in US Dollars per ounce and generally then converted to grams and other currencies. So if you need to calculate the price per gram in Sterling, you’ll first need to divide the $ price per ounce by 31.103, then apply the exchange rate. Many gold dealer websites, including our own, will already quote the price in ounces in Sterling terms. is known as the spot price of gold. Despite many assuming this is the price where gold can be bought and sold, it actually only acts as a benchmark from which to start. Regardless of whether you’re looking to trade gold ETFs, buy a few gold coins or are a central bank moving tonnes of gold bars, the price at which these trades are done will be based on the spot price plus a premium. This premium will depend on the type of gold investment and quantity. Generally speaking, you can buy gold electronically at a level nearer to spot price than if you opt to buy physical gold. This is because real gold incurs production, design and delivery costs. The second rule of thumb is that the larger quantity you buy at any one time, the lower the premium you achieve. Finally, older coins will trade at larger margins over the spot price of gold due to it’s historical and rarity value. Hopefully, that’s shed some light on understanding the gold price per ounce. 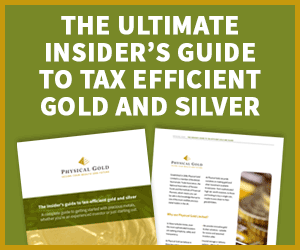 If you found this video helpful, please view our full array of video tutorials covering a wide number of gold and silver aspects. All our gold coins and bars can be bought at the live prices, which are updated on our website every 60 seconds. That way, you can track their prices and try to time your purchase or sale optimally and rest-assured you’re getting the most up-to-date pricing. If you need any help setting up an account, buying or selling gold, or simply need some guidance, then please call our team on 020 7060 9992. This entry was posted in Blog, Guides and tagged Gold Price, video. I am in London on holiday and would like to buy a 1 oz gold coin as a souvenir. I am pretty new to buying gold coins. I own a few 1 oz gold coins including a Kruggerand, Maple Leaf, and an Eagle. I have since learned it may be better to hold the Maple Leaf or Eagle over the Kruggerand due to the purity of these coins versus the Kruggerand. I found your video helpful. I have a few more questions. First, is it possible for me to purchase a coin while traveling and take it back to the states without incurring tax or customs issues? Second, is there a British 1 oz coin you would recommend that has the purity on par with the Maple Leaf or Eagle? You have very good reviews online. I would like to buy from you if possible while I am here in London. Is that possible? If that’s not possible maybe you can refer me to somebody you trust. Thank you so much. Hi Scott. We have a 1oz coin here called the britannia. It’s been 24 carat since 2013, but was 22 carat before then.